Every week, The Thread checks in with booksellers around the country about their favorite books of the moment. This week, we spoke with Aaron Cance from The Printed Garden in Sandy, Utah. Get ready for a sci-fi epic that knows its history. "A Memory Called Empire" is a new novel from Arkady Martine — that's a pseudonym for Anna Linden Weller who happens to be an expert in Byzantine history. For bookseller Aaron Cance, that background enriches the novel: "It's a fantastic space opera that loosely follows the Byzantine Empire's annexation of Western Armenia in the fourth century." 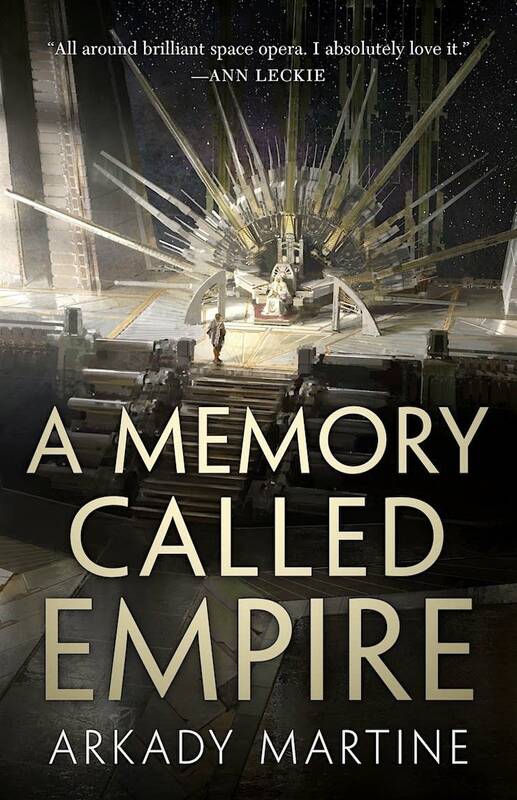 "It's amazing science fiction, but instead of thinking about explosions, exchanges of gunfire, that kind of thing, what a reader is going to find in 'A Memory Called Empire' is espionage and political intrigue," Cance said. "One of the more interesting things that the book does is that it explores the complexities of cultural imperialism." "What we find in Martine's novel is a smaller culture ... that is in imminent danger of being consumed by a leviathan-like empire." The book's main character, Mahit Dzmare, belongs to the smaller, threatened culture — "but at the same time she recognizes the beauty and eloquence" of the dominant, looming culture. In her job as ambassador, "her very first task is to discover the whereabouts of her predecessor, who has gone missing." Those are all the plot details you need, Cance said. More will spoil the read. "The whole time I was reading the book, I felt like I was reliving the experience of reading Frank Herbert's 'Dune' for the very first time. It's this sprawling, intricately detailed, really, really well-manufactured culture with extremely well fleshed-out characters, and you are invested almost at the very beginning." "I felt like I was reading tomorrow's classic. This was exquisitely written and it had that same sense of scope and that line of philosophical inquiry [as 'Dune']," Cance said. "It's a big book asking important questions and doing it really well."